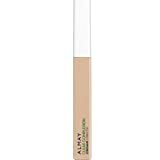 An oil-free spot Concealer that targets your blemishes with salicylic acid to speed healing, while never blocking pores. The sponge tip wand delivers the perfect amount of Concealer every time. Infused with meadowsweet to help purify and Clear skin as well as cAlmaying boTanicals such as chamomile and aloe to soothe irritation. Not for use near Eyes. Dot on skin over blemishes. Gently blend into skin with ring finger. Contains a mineral complex to absorb oil, aloe and chamomile to soothe skin and help reduce redness. You will Receive the exact same item shown in the Picture for this listing! 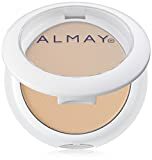 ALMAY Clear Complexion Concealer plus Treatment Gel, Light, 0.15 oz . / .08 fl. oz.